Most of our tattooing is custom and we do it by appointment. We encourage you to call ahead to make an appointment for a consultation. Cover-ups and reworks are also available. We accept walk-ins when possible. We use single service needles and pigment on all of our tattoos. All of our equipment is sterilized in an autoclave. 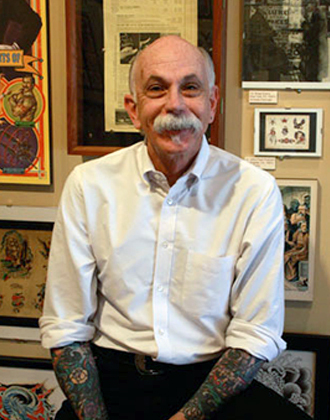 Chuck has been tattooing since 1978, in and around the San Francisco/Berkeley area. 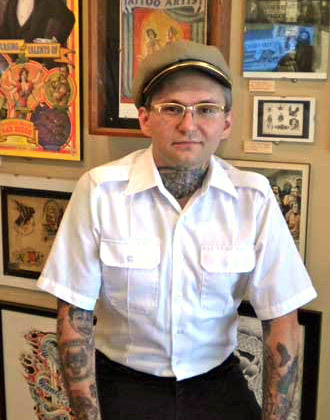 In 2007 he moved the Tattoo Archive to Winston Salem, NC. Chuck enjoys tattooing all styles. Tugboat Johnny has been tattooing since 2012 in the Winston-Salem area. Johnny is an avid sideshow enthuasist, musician and enjoys tattooing all styles.